The kennels are all in one block with outside runs, the kennels are heated with additional infra red heating for the winter. We carry a wide stock of dog food, although if preferred you can bring your own. All kennels have their own beds and bedding. 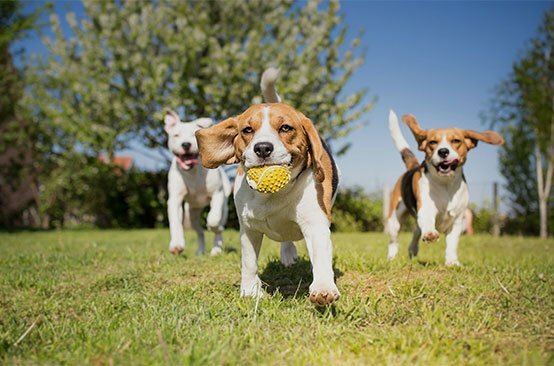 There are also two large, enclosed exercise paddocks in which all dogs are run daily.You are welcome to visit the kennels and cattery, for viewing prior to booking, on any day from 11am – 12am or 2pm – 3pm. No dog will be admitted without up to date vaccination against distemper, hepatitis, leptospirosis, parvovirus, parainfluenza and kennel cough.